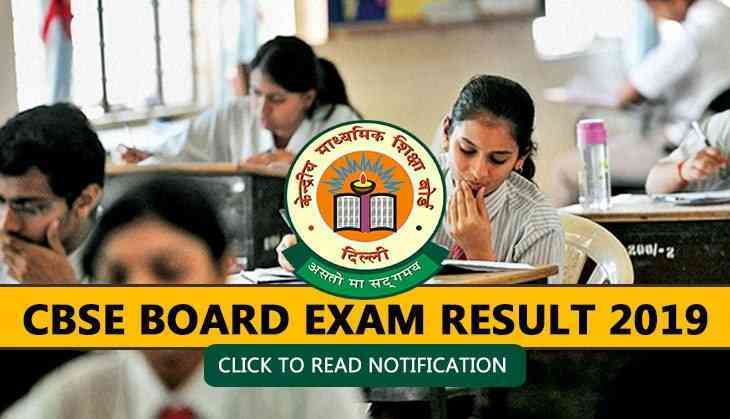 CBSE Class 10 result 2019: The Central Board of Secondary Education has concluded the Class 10th Board examination and now, the students are eyeing on their results. Now, some news has started circulating about the result declaration date on several news portals. As per the sources, the CBSE is likely to release the results either in the last week of the month May or in the first week of June. No official date has been announced by CBSE on the official website of the Central Board of Secondary Education. However, CBSE Class 10th result will only be released after the evaluation process completed including other process involved in preparing the results. Reportedly, the Central Board of Secondary Education can release the results of Class 10th in the last week of May, in between May 26 and May 30. In the wake of Lok Sabha 2019 elections, Board has announced that the results will be released earlier, in comparison to the previous years' result. Students of CBSE Class 10th or 12th should make that the Board will be going to release the results in the May end, with class 12 result a week before the class 10 result. This year, 31,14,831 candidates have registered for the exam and out of the total 1819077 are boys and 1295754 are girls. Also, 28 transgender students have appeared for the exam.